Stay in Jail for an unforgettable experience with Free Unlimited UltraFast WiFi! 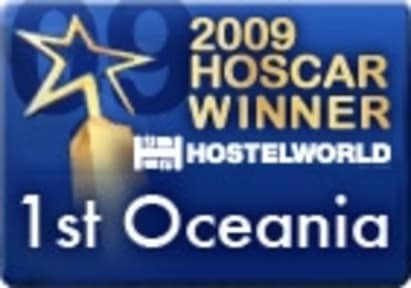 Hostelworld, Lonely Planet and Rough Guides’s top pick for Christchurch, we’ve won heaps of Awards! You can enjoy our renovated heritage accommodation, which had a colourful history as Addington Prison. Our clean, warm and friendly accommodation features super-comfortable beds with free towels, free WiFi, fresh linen with fully made-up beds, free off-street parking, free DVD hire, cinema room, free pool table, bicycle hire, commercially-styled guest kitchen and laundry. We offer private singles, doubles, twin bunks and also dorms, as well as some larger rooms that can be used by families or groups. If traveling with under 16s, please reserve private rooms, not shared dorms. Christchurch is the gateway to the amazing South Island. Our suburb of Addington is a happening place to be, with awesome new places opening all the time. We are the closest hostel to the Tranzalpine train station , AMI Stadium and Horncastle Arena where many concerts and functions are held. You could walk, or it is a short bus ride to Hagley Park, Canterbury Museum andour exciting new CBD with new bars on 'The Strip', new shops and places to explore like Little High. Threre are a number of vibrant cafés and bars close by, including Pedal Pushers, Morrell and Co, Retropolitan, renowned Simo’s Deli, Addington Coffee Co-op and Court Theatre. 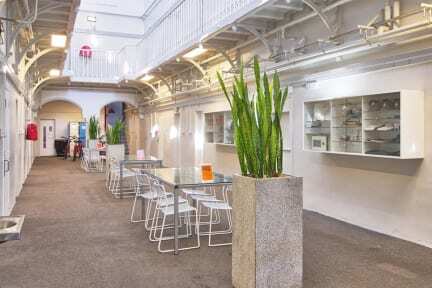 We have modern facilities in our budget youth hostel; you will have secure key access to your room 24 hours a day. And of course, the jail features provide total security. Wake up to a cup of our freshly made organic, fair-trade espresso coffee from our coffee bar. We have a travel desk for booking all your New Zealand transport and tickets to Christchurch and South Island attractions - cheapest rates available!